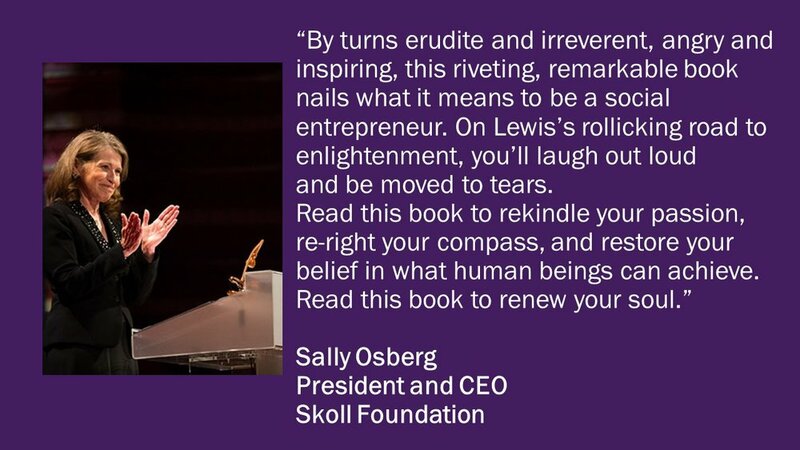 The Unfinished Social Entrepreneur is a book of original essays and insights about the challenges and questions every social entrepreneur thinks about — and should think about. Chapters bristle with tips and tools to transform your social justice career. For a curation of the book’s most salient points, distilled down to bite-size chunks, download the free Community Conversation Guide by seasoned social entrepreneur Jennifer Gurecki (Co-Founder/CEO, Coalition Snow, and Founder, Zawadisha). Jonathan C. Lewis is a life-long social justice activist and social entrepreneur. He is the founder of MCE Social Capital, an innovative social venture that leverages $120 million of private capital to finance tiny business loans to deeply impoverished people, mostly women, in 46 countries in the developing world. He also is the co-founder of Copia Global, an Amazon-like consumer catalog serving the base of the economic pyramid in Kenya and a General Partner of Dev Equity, a social impact investment fund in Latin America. He is a former Trustee of the Swift Foundation. During his eclectic career, Jonathan has served as the Chief Budget Adviser to the President of the California State Senate (who, in public debate in the Senate, said to his colleagues, "if the Senate has a resident genius, it's Jonathan Lewis"), founder and CEO of a global consultancy in the healthcare sector and owner of a contemporary art gallery. Today, Jonathan is pursuing a lifelong interest in creating art box sculptures. Justice – “When you and I really think about it, when we burrow into our souls, we both know that, at its core, social entrepreneurship is a love affair. Our life partner is justice." Words – “When I fail my cause with crappy communications, I feel the opposite of awesome. I’ve let myself down and, worst of all, I’ve let down what and who I care about." Bruised – "Social entrepreneurs are midwives—birthing new opportunities for greater economic, environmental and social justice. At the same time, we are hospice workers—helping old paradigms to die. In the clinic of social change, our bedside manner can lose its mojo." Misgivings – "So much of what we do is a matter of judgment and nuance, of balancing competing priorities and concerns. Doing one thing in one place, and doing something else in another." Hegemony – “I’m a proselytizing missionary, preaching a gospel of progressive ideals about economic, environmental, racial, gender and social justice." White – "If we coddle racists or rationalize away their hate speech, then racists might, mistakenly, think they are normal human beings." LifeBlood – “Social entrepreneurs do not exist without anchoring relationships. I am who I care about. I am who I fight for. "